A versatile, non biological concentrated laundry liquid. Good for both machine and hand washing. The container is recyclable. The Bio D Concentrated Non-Bio Laundry Liquid - 1L - 25 Washes product ethics are indicated below. To learn more about these product ethics and to see related products, follow the links below. I use for coloureds . I like that it is unperformed and does not lather too much unlike other liquids. Gets items clean and they look clean and fresh when taken out of the macine. 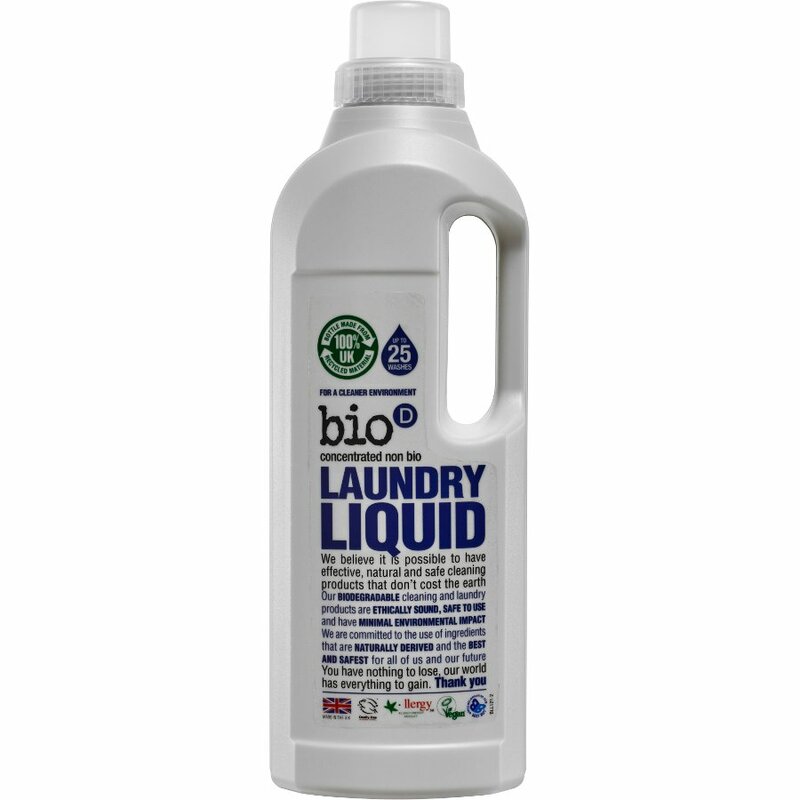 There are currently no questions to display about Bio D Concentrated Non-Bio Laundry Liquid - 1L - 25 Washes.